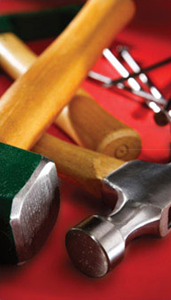 Build it has all your hand tool requirements for all applications, including woodwork, plumbing, electrical, welding, painting and fixing. We have a comprehensive range of power tools and we are stockists of Bosch Power Tools nationally. Our stores also carry an extensive supply of ladders, trestles and wheel barrows.